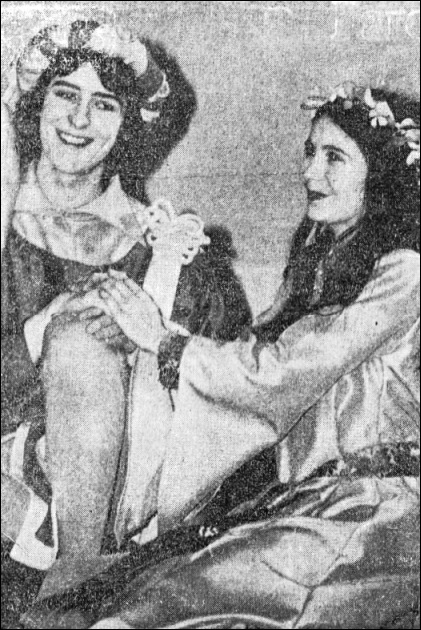 The College production of Shakespeare’s The Winter’s Tale (by William Shakespeare) was performed in December 1975. We have a copy of the complete programme including the full cast list, along with a review and photo. 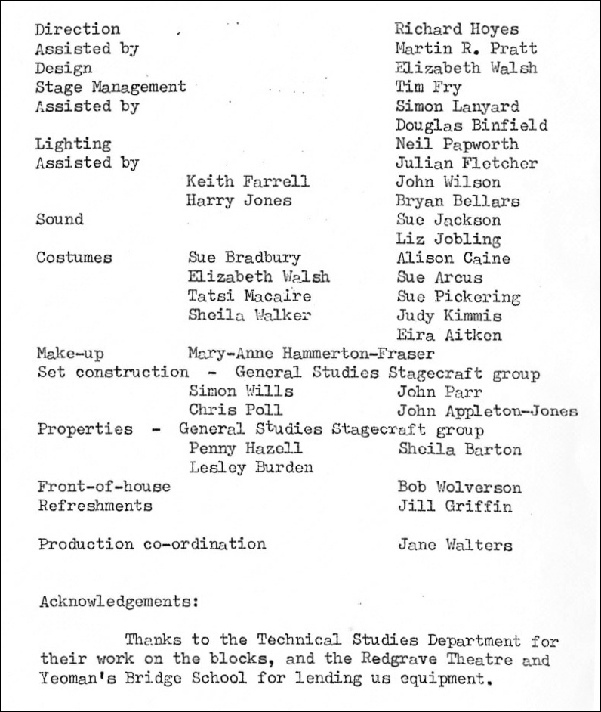 The play was directed by Roger Hoyes, assisted by Martin R Pratt (College Tuck Shop duties permitting); with design by Elizabeth Walsh. Costumes were by Sue Bradbury, Elizabeth Walsh, Tatsi Macaire and Sheila Walker. One of your Editors remembers that during one of the performances, Mr Robin (“Plug”) Burns’ false beard became detached and he continued his performance by holding the false beard to his chin with one of his hands! “CONGRATULATIONS come easily, admiration less so. 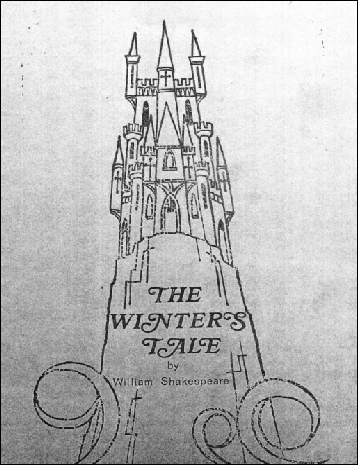 In the case of Farnham College’s production over several nights ending Saturday [20 December 1975], of William Shakespeare’s “The Winter's Tale”, both apply. Where dramatics of a high calibre are concerned, the College is setting a telling pace. After “Oh What a Lovely War”, with all its peculiar demands on talent that is keen, alert yet essentially “immature”, supporters of the school’s productions had no doubt at all about the likely quality of subsequent efforts. “Winter’s Tale”, so utterly different, might have damaged the reputation. Indeed, with many and varied problems still nagging up to the last minute, the opening nights was a rather awesome thought for most. Whether the much-applauded man who directed operations - Richard Hoyes - suffered pre-opening anxieties or not is anyone’s guess but with a magnificent front and backstage team around him, the jigsaw fell together and won warm reaction from delighted audiences. Singling out individuals is often not easy - or fair, perhaps. But there was no question that the “intimate” handling by Donald Nicolson of the jealously petulant King Leontes, a naturally tender, loving fellow, was very engaging. And his Queen Hermione, his “royal piece”, was superbly handled by another member of the college staff, Elizabeth Walsh. As Leontes so wisely put it, “There’s magic in thy majesty”. 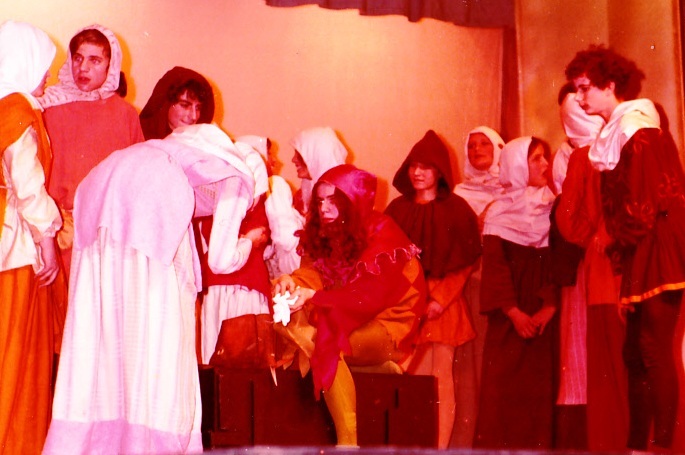 Her dignity and poise were perfect for the role and Mr Hoyes’s cunning in offering a staff-student production was certainly clearly seen to be offering depth and breadth. On the student side, Nick Gregory gobbled up is part as the Old Shepherd; his ease and wit were cunningly in tune with his slight stoop and his heavily powdered hair and beard. Having introduced the usual Will Shakespeare interlude of humour into the proceedings, we were in for another memorable performance when Michael Ackroyd took a bow in the comely shape of the rogue Autolycus. While Autolycus connived, pranced and sang - with heigh! - so with the “clown” son of the old Shepherd, Geoffrey Whiting, it was all ho-ho. What nice control by these two of the Act IV road scene. 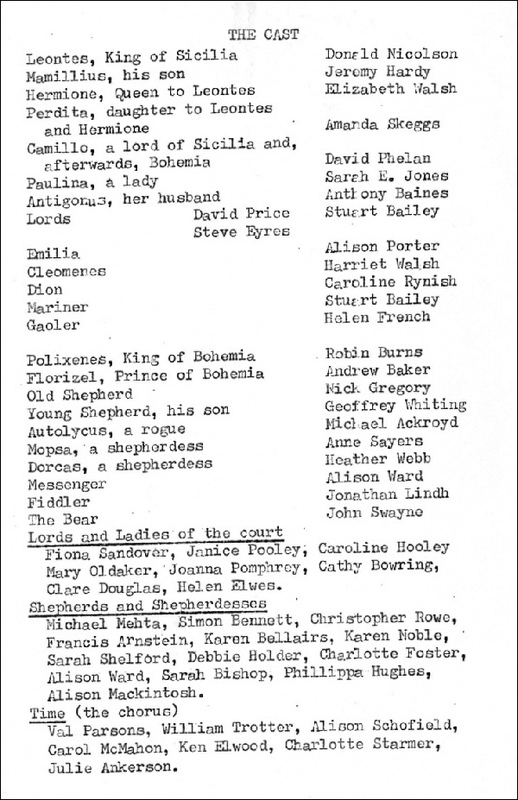 Amanda Skeggs was a very sweet Perdita, David Phelan well handled his drift into middle-age, as a very good Camillo, Sarah Jones well-worked her role as Paulina; Robin Burns enjoyed every moment of his reign over Bohemia, Andrew Baker was a tailored Florizel; a lot of other parts were notable, not least Jeremy Hardy in his brief acquaintance with his mortal coil. Anthony Baines was an enjoyable Antigonus before he encountered John Swayne in bear costume; Anne Sayers and Heather Webb made themselves felt ... David Price, Steve Eyres, Stuart Bailey (doubling up! ), Alison Porter, Harriet Walsh, Carolyn Rynish, Helen French, Alison Ward and Jonathan Lindh added round contributions. So too did other players - Messrs and the Misses Sandover, Pooley, Hooley, Oldaker, Pomphrey, Bowring, Douglas, Elwes, Mehta, Bennett, Rowe, Arnstein, Bellairs, Noble, Shelford, Holder, Foster, Ward, Bishop, Mackintosh, Hughes, Parsons, Trotter, Schofield, McMahon, Elwood, Starmer and Ankerson. The last named group included “Time” - which feature was at the heart of the piece. And in achieving the objective, heaps of praise for the technicians - lighting, sound and make-up. Richard Hoyes was assisted by Martin Pratt, the design was by Mrs Walsh, and Tim Fry, with able assistance kept things on the move with his stage management. Costumes ere excellent and “stagecraft” effective in its simplicity. A lot of other credits - and to the prompter who, though in evidence, seemed oddly to add rather than detract from the whole! Mike Mehta has provided this colour photo of a pre-performance last minute rush. Left to right are Geoff Whiting (Young Shepherd), Arnie, (Shepherd), Christopher Rowe (Shepherd), Phillipa Hughes (Shepherdess), and Mike (Shepherd in tights). Heather Webb (Shepherdess) is believed to be the person bending over.